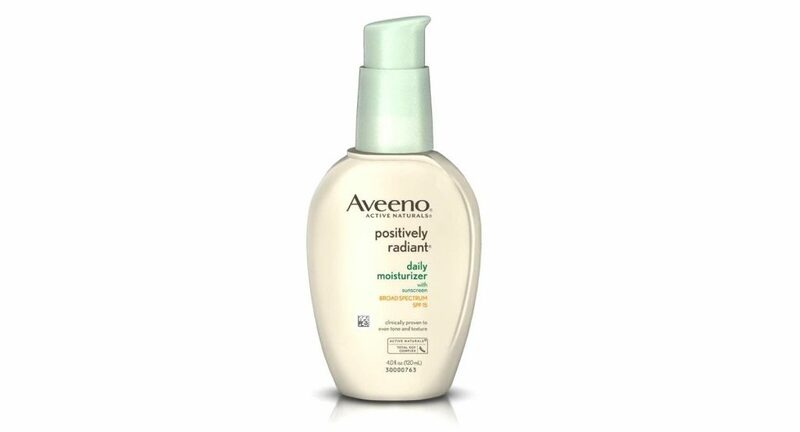 The Aveeno Positively Radiant Daily Moisturiser (SPF15) uses exclusive ACTIVE NATURALS® Total Soy Complex and Natural Light Diffusers to naturally even out skin tone and texture. Clinically shown to improve 5 Factors of Radiance: Tone, Texture, Dullness, Blotchiness and Brown Spots whilst also providing protection from the sun and premature aging. Soybean Seed Extract, is a plant-derived ingredient often found in skincare products due to its moisturing benefits. Soy extract is rich in Vitamin E and a powerful antioxidant, naturally able to combat free radicals while improving the appearance of the skin, effective in reducing the damaging effects of UVB on the skin cells. Titanium Dioxide, Homosalate, Ethylhexyl Salicylate, Butyl Methoxydibenzoyl-methane, Benzophenone-3 and Octocrylene are used to provide sun protection from radiation. Other ingredients are added for their thickening, emulsifying and preservative properties. 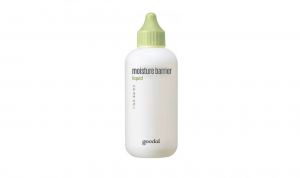 The moisturiser comes in a hard plastic bottle with a twist to open pump action application. The CosDNA analysis is favourable, raising no red flags. 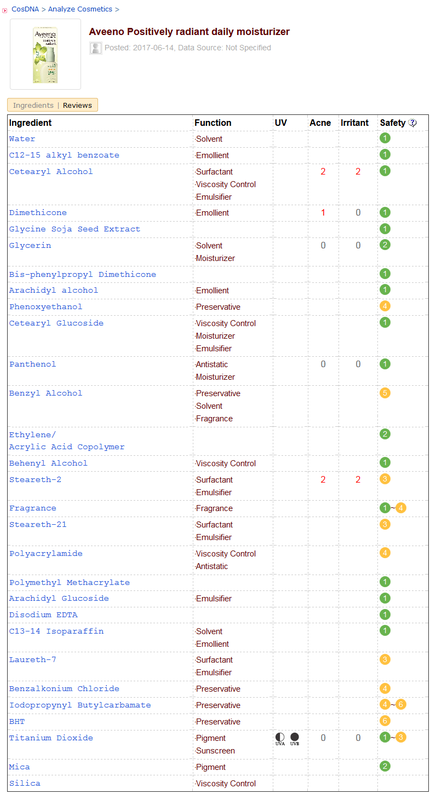 It rates a 5/10 in the EWG Cosmetics Database however, categorised neither hazardous nor completely problem free. The addition of fragrance to the formula raised the only red flag due to possibility of irritation, whilst most other ingredients rated at least fair. This moisturiser does not have a detectable smell. 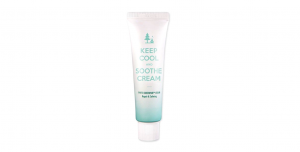 The 75ml moisturiser sells for approximately AUD$20.00. (Please note, the feature image at the top of this post shows the 120ml bottle which is not available in Australia). 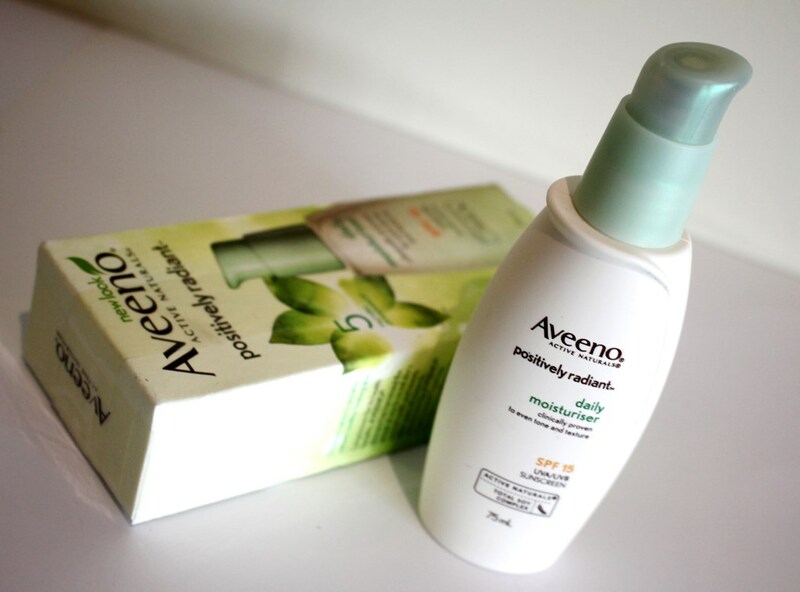 The Aveeno brand is commonly sold in pharmacies/chemists, supermarkets, department stores and online. 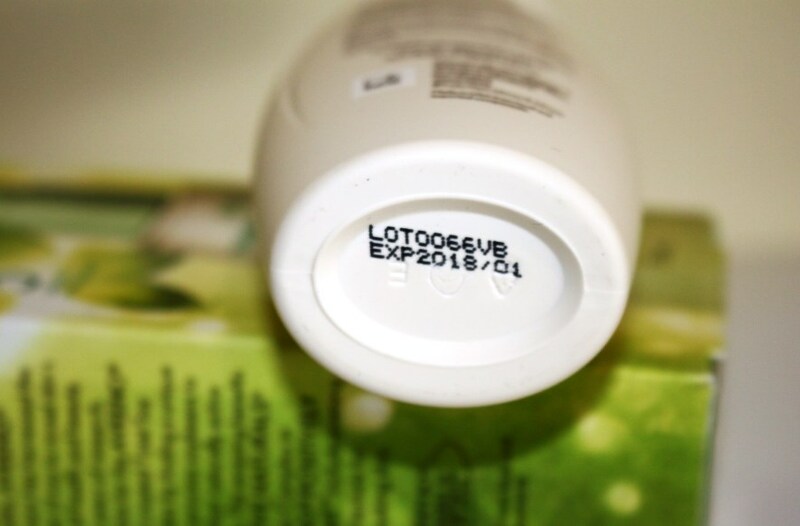 The expiration date on a bottle I recently bought was less than a year (around 8 months) however, I imagine this was probably just old stock sitting on the shelf and that the moisturiser itself is good for at least 12 months. I like this product. It is low fuss with a non-irritating formula, easy to use and manage, affordable to purchase and ultimately an effective moisturiser. The oil free formula is absorbed easily into my skin and is very light and non-greasy. Approximately three pumps will generously cover face, neck and décolletage. 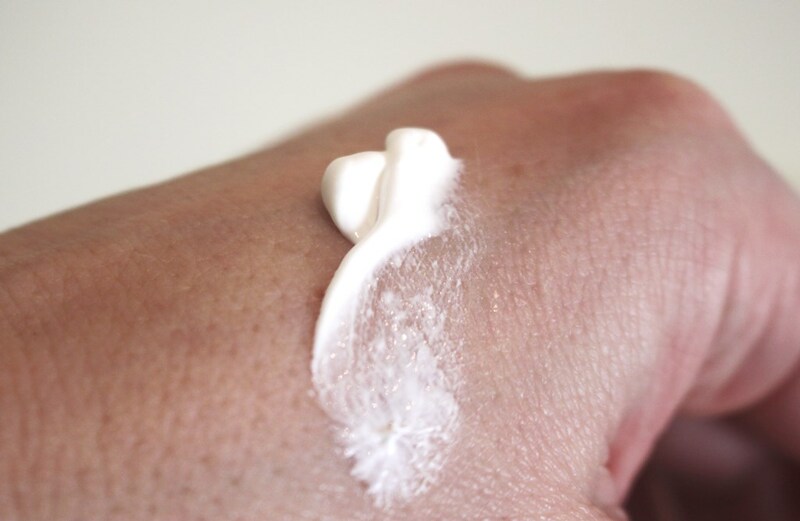 It is a pleasant moisturiser to apply, easily absorbed and generous in slip. I use this moisturiser in the morning. If I am indoors, I won’t apply an additional sunscreen as the broad spectrum SPF15 is sufficient for indoor sun exposure. If venturing out, I top this with stronger SPF sun protection. It would be great if this product could be manufactured with an SPF50 as this would eliminate the need for another protective layer on the face. If relying on its sunscreen properties, it is best to apply this cream at least 15 minutes prior to going outside and regularly throughout the day. It is good for use beneath makeup because it absorbs evenly and thoroughly and makes an ideal base for foundation without white cast. The dispense mechanism minimizes the risk of contamination. Twisting the pump to the left closes the opening and to the right releases the cream. The locking feature seals the product in, lessening exposure to the atmosphere and also makes it relatively travel safe, reducing the risk of spillage. It would have been ideal if there was an additional protective cap to ensure that the pump stayed in the close position when not in use and bring it one step closer to being air tight. In assessing this product, I used an entire bottle consistently on a daily basis. The cream did nothing miraculous in terms of anti-ageing or radiance, although it is part of the Positively Radiant range. I didn’t find that my skin particularly glowed after application and can’t attribute skin tone/texture improvements to it either. I would suggest that the only positive effect it has on anti-ageing, blotchiness and brown spots would be preventative due to its sunscreen protection (although this could be improved with a higher SPF rating). 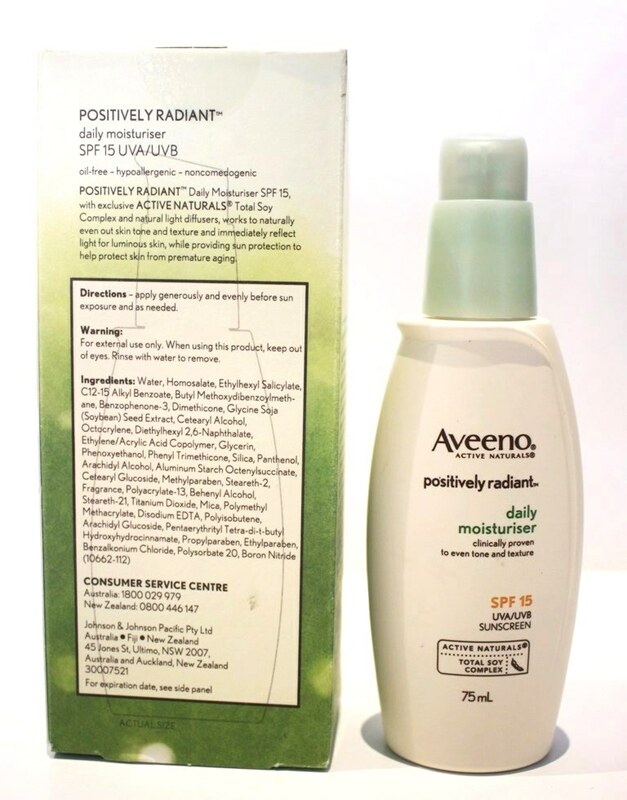 Aveeno claims that the moisturiser “uses Natural Light Diffusers to immediately reflect light to bright out skin’s natural radiance”. I interpret this as not physically illuminating the skin itself, (I didn’t see any evidence of this), rather relying on the light reflective properties of the product on my skin to give the illusion of radiance. Regardless, I didn’t notice any glow. My skin does however feel soft when I use this moisturiser. It might not be a miracle cream but it does moisturise effectively and offers sun protection whilst also being hypoallergenic, non-comedogenic and affordable, so I definitely give it a thumbs up. 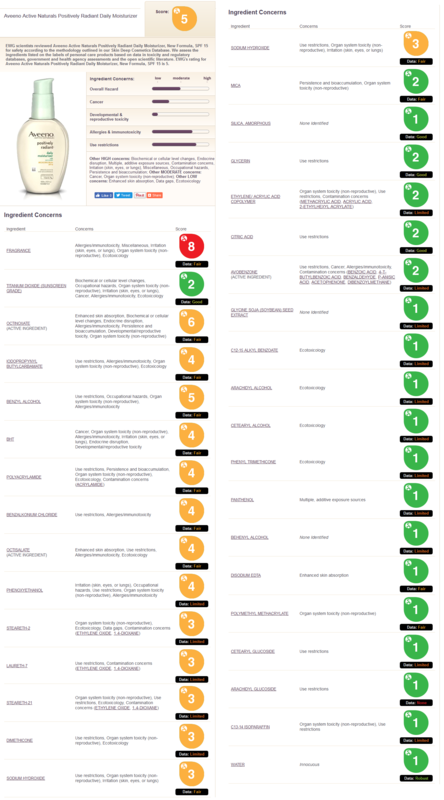 Mixed feedback from online reviews (most however positive), suggest it may not be for everyone, even though it claims to suit all skin types including sensitive. Nonetheless, at its budget friendly price point, there is little risk in giving it a try and assessing its efficacy for yourself. I wouldn’t however rely on its sun protection capability as it is only rated a low SPF of 15.